Nearly a year after the original Galaxy A7 launched, Samsung has unveiled its Galaxy A5 and A7 handsets for 2016 to woo the mid-range market with support for Samsung Pay. The company has also announced the Galaxy A3, a lower-end device that skips a few features including a fingerprint reader and Samsung Pay support. All three Android 5.1 devices are made of metal with glass on the front and back, and are fairly slim at just 7.3mm. They also feature 13-megapixel rear cameras and 5-megapixel shooters in front; however, the A3 doesn’t include optical image stabilization. 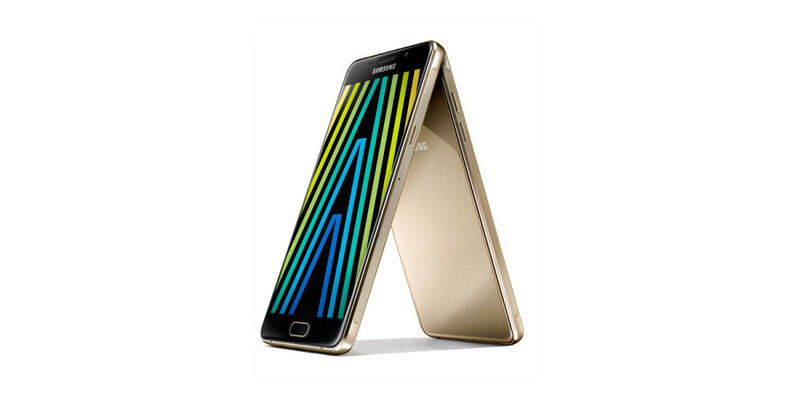 The 5.2-inch A5 and 5.5-inch A7 share several key specs: a 1.6GHz octa-core processor, 16GB of onboard storage and Full HD AMOLED screens. They also come with fingerprint readers to support Samsung Pay, the company’s mobile payment service. With that, Samsung has finally expanded its mobile payments service beyond its high-end phones. It’s only been available on the Galaxy S6, S6 Edge, S6 Edge+ and Note 5. At the lower end of this range, the A3 packs a 1.5GHz quad-core processor, 1.5GB of RAM and a 4.7-inch 720p AMOLED display. Like the other two models, it comes with 16GB of space, a microSD slot for expansion and support for fast charging. The refreshed Galaxy A series will first debut in China this month and become available in other markets soon. There’s no word on pricing yet, but Samsung would do well to price these aggressively to boost adoption of its payment service to take on rivals like Android Pay.